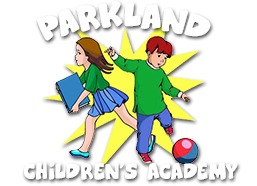 Parkland Children’s Academy (“us”, “we”, or “our”) operates http://www.parklandchildrensacademy.com (the “Site”). This page informs you of our policies regarding the collection, use and disclosure of Personal Information we receive from users of the Site. Please read through our policies with regard to your personal information. Changes may be made to these policies or our site without notice so visit this page regularly to stay updated. By continuing to use our site, you agree to this policy. This Site may contain links to other websites which are hosted by and maintained by third parties. Proceeding to such websites is at your own risk and we make no representations regarding the content of any such website. We cannot be liable for any loss or damage which may arise from the use of third party websites.